For many new photographers, getting a proper exposure with natural light is easy to achieve. Add flash and suddenly the concepts of photography fly out the window. Sure, it's scary. Yes, it can be difficult to grasp but it doesn't have to be. The topic will be general flash use. The principles learned will apply to small speedlights as they do to larger monolights. 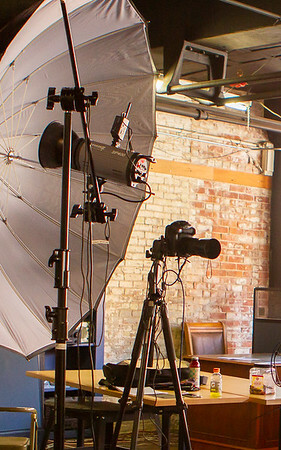 You will also be introduced to various types of light modifiers, like umbrellas and softboxes. For the practical part of this workshop, we will be working with a single light setup you can replicate in your own home or studio. Participants will be photographing each other so dress nice for the workshop. You'll walk away with some new knowledge and maybe a new headshot. Definitely bring your camera with fresh batteries and a clean memory card. A nice 'portrait lens' will suffice. You might also want to bring a notepad to jot down notes. Everything else will be provided. Remember, dress nice, comb your hair and bring your smile.